The Harley-Davidson FLHR is a motorcycle produced by Harley-Davidson from 1999 to 2004. The Harley-Davidson FLHR was a motorcycle more commonly known as the Road King. 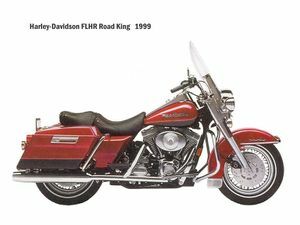 The Harley-Davidson FLHR was the successor to the FLHS Electra Glide Sport in 1994. This page was last edited on 25 August 2010, at 16:47.